With 25 years of corporate communication experience, Nathan Hokama seamlessly integrates into different types of teams to deliver results. 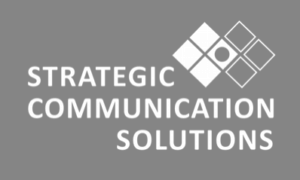 He established Strategic Communication Solutions as an independent practitioner in April 2004. 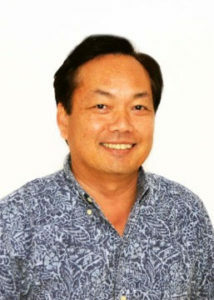 Prior to Strategic Communication Solutions, he served as corporate communications manager for Tesoro Hawaii (now Par Hawaii [NYSE MKT: PARR]), Hawaii’s leading transportation fuel provider, from 1991 to 2003. During his time with Tesoro [NYSE:TSO], he was involved with a number of high-profile issues including the State’s anti-trust lawsuit against oil companies; neighborhood outrage over unplanned petroleum refinery emissions; a major oil spill impacting a neighbor island, underground storage tank remediation; public and legislative scrutiny over gasoline pricing, and organizational restructurings and divestitures. He also served as an “away team” coach for public information officers during emergency response exercises at Tesoro refineries or marine services facilities in Kenai, Alaska; Anacortes, Washington; and Aransas Pass, Corpus Christi, Texas. He also served as media relations consultant and spokesperson, and assisted with Public Utilities Commission public hearings during the acquisition of Verizon Communication Inc.’s Hawaii assets by The Carlyle Group, a Washington, D.C.-based international private equity firm, a year-long process that concluded in May 2005. Nathan also served as corporate communications manager at American Savings Bank, the state’s third largest financial institution, where he was responsible for developing annual meeting and financial analyst road show remarks for executives in conjunction with parent company Hawaiian Electric Industries [NYSE:HE]; content development for intranet communication; and researching and responding to media inquires as spokesperson or preparing and coaching executives for news interviews. He also served as community relations director for Shriners Hospital for Children, coordinating media relations, internal communications and volunteer recruitment and placement. He holds a bachelor’s degree in journalism and philosophy from the University of Hawaii, and is an accredited member of the Public Relations Society of America (PRSA), and a member of the organization’s Counselors Academy and Independent Practitioners Alliance. He is past Chair of the Executive Committee for PRSA’s national Independent Practitioners Alliance. He is a past president of the Hawaii chapters of both PRSA and the International Association of Business Communicators (IABC). PRSA Hawaii professional peers named him the PRSA Gregg W. Perry Public Relations Professional of the Year in 2008. He currently serves on the boards of the Friends of the Children’s Justice Center; Kokua Mau, a hospice and palliative care organization; and the Hawaii Youth Symphony.